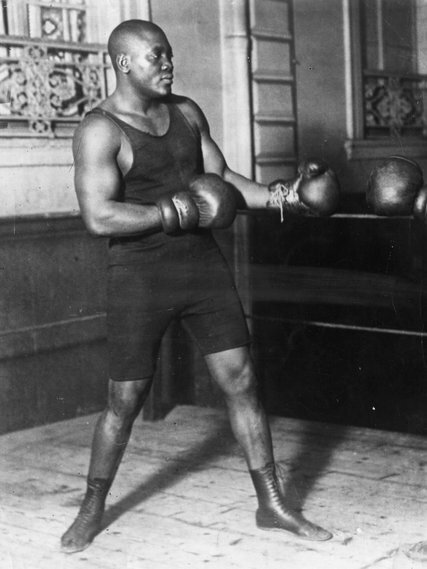 In 1908 Jack Johnson became boxing’s first black heavyweight champion. Why is the United States still afraid of Jack Johnson? Fear? Indifference? Ignorance of history? Since 2004, McCain, other lawmakers and the filmmaker Ken Burns have campaigned for an executive pardon for Johnson, who became boxing’s first black heavyweight champion, in 1908. Johnson’s victory over Tommy Burns that year stoked fears of a black challenge to white supremacy; he became an inspiration for the phrase “great white hope,” a sentiment that to this day describes the aggressive promotion of whites to prominence, especially in fields dominated by black athletes.